Whilst applying for a job recently I was alarmed at a question that appeared on the application. “Do you suffer from any form of mental illness?” It planted a weed of uneasiness in my stomach as I evaluated how employers hire their staff today. 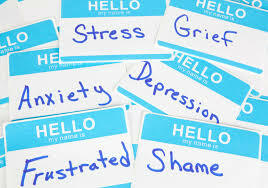 The subject is perhaps a double edged sword; if someone does have a mental illness are they risking a job opportunity by voicing it on their application or are they doing a disservice to the highlighting of mental health stigma by denying it. What is the right thing to do? And is it within the employer’s best interests to gain access to such information? I gave this some research and the general consensus appears to be that such information need only be disclosed to an employer if it might affect your ability to do your job effectively. If you suffer from an illness that manifests itself physically and that hinders you from completing certain tasks then you would be obliged to tell your employer. This then is applicable to mental illness if it will affect your working day ; after all we want to treat this health problem with the same respect we would show a tangible one. However, if depression, anxiety or any other psychological problems are being taken care of and you do not feel they will inhibit your ability to perform in the workplace then it is at your discretion to divulge such information. An employer is not within their rights to simply know this information if it does not affect your labour ability in the same way that they couldn’t just ask for your medical history out of curiosity. See Beyond Blue, a website on depression which gives fantastic information on the subject and a link to Australian Human Rights Commission. We know our friends and family well enough to know when something is wrong. What do we do then when we feel a work mate might be in trouble? Perhaps we do not feel comfortable enough to express our worry. Here are a few tips with dealing with a fellow work mate who you feel might be in the clutches of depression or anxiety. Often depression goes hand in hand with loneliness and isolation. If the person you are worried about seems to be withdrawing from team activities such as lunches and nights out perhaps try to reinact these on a smaller level. Crowds can be nerve racking for an anxious person so perhaps try to coax them into going for a coffee or lunch one on one. Chat about the small stuff; often you will find this leads onto the bigger issues. You don’t need to say this in so many words but make them feel like someone has their back. Perhaps you are working on a project with them. Ensure they know that their contributions are valued and that they play an important part of the project. Stay positive and avoid confrontational situations with them. Maybe you feel like your fellow workmate needs more than just you to lean on. Is there a counselling service available in the workplace? If not, guide them to one of the many free online services. Mindspot is a great one and it offers different workshops to engage in. The most important lesson to learn is to never turn your back on someone that might need your help. Workmates are no less important. We spend so much of our lives with our colleagues. Who knows; helping one with depression might be the noblest thing that you ever do.